by Bob Turney. With a Foreword by Helena Kennedy. 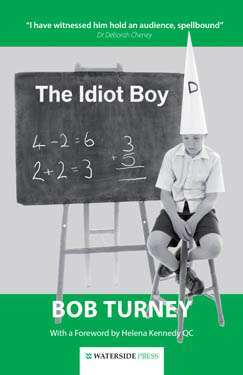 Bob Turney must be the first dunceand from the wrong side of the tracksto win a debate at the Oxford Union, to have addressed assembly at Eton College, been welcomed as a guest at No. 10 Downing Street, dined at the House of Lords and whose existing writings are in regular use at universities in the UK and abroad. In this captivating and very readable book Bob tells how he overcame multiple disadvantages: dyslexia, being wrongly categorised as educationally subnormal, drug and alcohol misuse and 20 years on-and-off as a guest of Her Majesty. 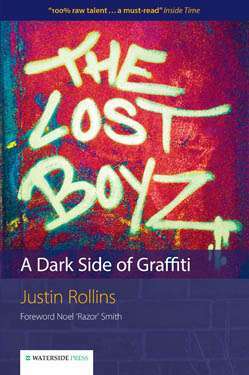 It is a compelling true story of how against all the odds he survived trauma, misfortune and life in the gutter to become a much respected family man, community leader, friend of the great and the good, commentator and public speaker: a prisoner reborn as a probation officer whose new world took on a fresh and unique life of its own. 'I know Bob Turney, and I know his work, I have witnessed him hold an audience, spellbound': Dr Deborah Cheney. 'Bob Turney is a true champion of human rights in the penal system': Baroness Helena Kennedy QC. 'A remarkable man who made a great recovery from the depths': Lord Longford. Bob has established himself as a sought after name on the after-dinner circuit, as well as giving keynote addresses at corporate conferences and charity and educational functions. Bob articulates his fascinating story in an engaging and easily digestible manner, relevantly tailored to the specific audience. The whole evening was an emotional roller coaster, a very thought provoking evening (Paul Kerry, Provo, Utah, USA) I found Bobs presentation truly inspirational. I could have listened to him all day. When I got home I couldnt stop talking about his presentation. What a life he has had, he is a great individual. You dont see many of them in one lifetime (Nicky Jordon, Crowthorne, Berkshire, England). 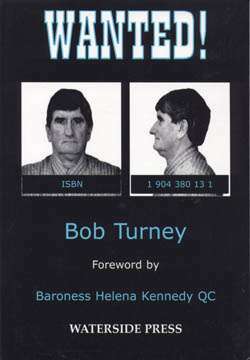 Since retiring from the Probation Service Bob Turney has pursued a career as an international speaker and author. He makes regular appearances on television and radio and is a guest lecturer in many universities and colleges, both in England and abroad. Some of his books are the core texts for students studying criminology. 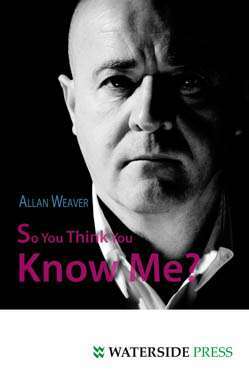 He is a gifted and sought after speaker on the after dinner circuit, and as a keynote speaker at conferences. A member of the audience leaving one of his motivational seminars was quoted as saying Bob made me laugh and cry at the same time. Alternative format ISBNs: PDF ebook ISBN 9781908162977. EPUB / Kindle ebook ISBN 9781908162960.